The sun is shining and the air is light. Though it’s still brisk in these parts, the weather certainly is shaping up. It’s the perfect time to bake with fresh fruit. Even though strawberries season is about a month away, they’re definitely in season somewhere. How can I tell? Simply, the flavor. They’re sweet and succulent, and beautifully shaped. 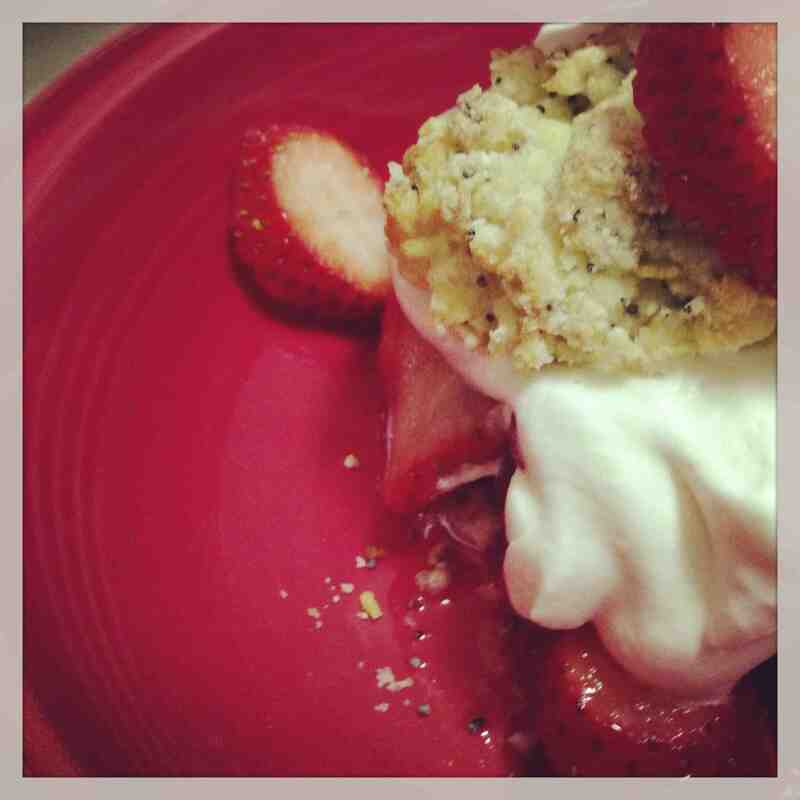 This weekend, I baked strawberry-lemon poppy seed shortcakes. I had most of the ingredients, but purchased the poppy seeds, lemon, heavy whipping cream and strawberries from my local supermarket, Met. The whipped cream is homemade, too. I used some confectioners sugar and a bit of vanilla to flavor the cream. MDP thought this dessert was out of this world. Good thing I have leftovers! I got the recipe from my Better Homes and Gardens cookbook. It was marked as a “favorite” by the editor. I can see why.